We are so stoked to introduce our new #SCSF Garden! You know how we just went through a major reboot of our lobby? If you haven’t seen it yet, check out all of the details here. Well, with the reboot we have been able to introduce a bunch of new amenities that have always been on our radar. We always aim to offer our guests the best, most unique San Francisco experience. In our lobby, we have hundreds of records so guests can listen to the classics on our record player. We have a grab and go selection of food items so that guests can pick up something light on the way to a meeting, before a day of exploring, or before hitting the road. In addition to all the great offerings for our guests, we have introduced our very own rooftop garden. While there is no public access, guests can check it out from the rear windows in the lobby near the big screen tv (yup, we got that too!). We’ve added big planter boxes so that we can have our very own garden. Don’t worry! The garden isn’t just for looks. It’s for everyone to enjoy. 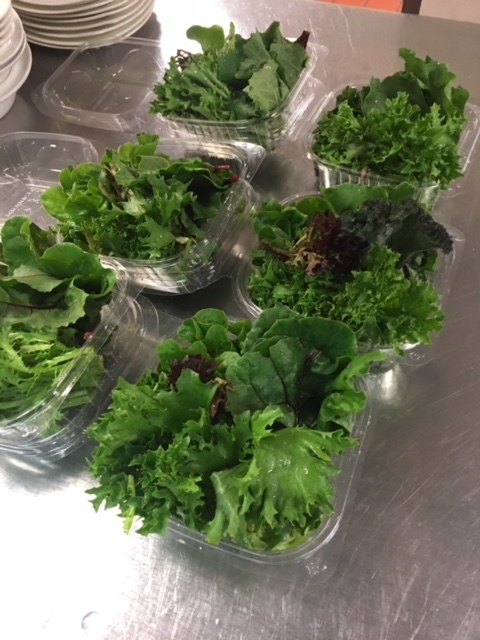 In just a few short weeks we have seen our lettuce grow enough for our amazing kitchen staff to create beautiful and legit, garden salads. 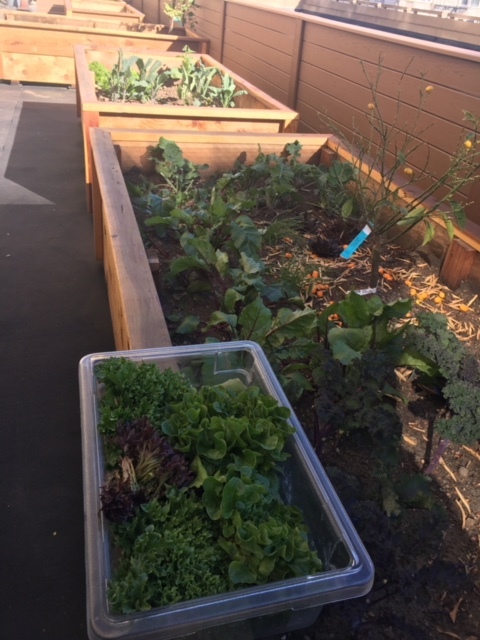 We’re planted mostly veggies and items that are great in the San Francisco unpredictable climate! Come by and see the garden for yourself! We can’t wait to create even more delicious #superhyperlocal eats for our guests!